Most of the mobile users in Pakistan use the prepaid connection. The prepaid connection is more reliable in terms of low rates and bundles. Prepaid customers have to recharge the credit or balance on the regular basis while postpaid customers have to pay their bill at the end month. But the problem with the prepaid connection is the customers run out of credit earlier or later. You have to recharge your phone to use mobile services. The two basic methods to load balance in your mobile phone by the prepaid card of your particular service provider or by going to the nearest retailer through service called easy load. But what will happen if it will not possible for you to recharge credit neither by prepaid card nor by the easy load? Telecom companies have offered another service through which you can share balance with your friends on the same network in case of emergency. If you have the low balance on your mobile phone then no more worries, you can now share credit anywhere and anytime with Jazz share. Jazz share gives the prepaid subscribers of Jazz the ability to transfer the mobile credit to prepaid numbers. Reach out to your friends during an emergency and share credit with them. 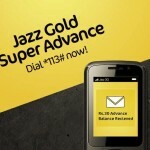 Jazz is known for its amazing calling, SMS and data plans at affordable rates. It always shows its concerns towards customers and delivers what it promise. 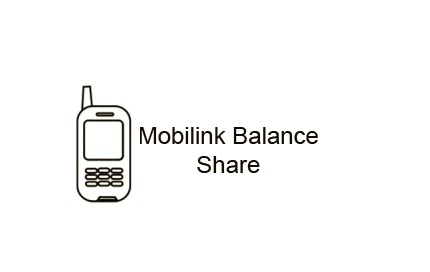 Considering the need for instant balance, Jazz has introduced Jazz share so that its customers never have zero balance on their mobile phones. You can help your friend by giving them balance and can be a hero in their eyes. Sometimes there is no facility of easy load and card, then here Jazz share will surely help you. The whole detail of how you can Share Balance from Jazz To Jazz prepaid numbers is given below. The procedure is really simple and easy. You just have to dial the code then type receiver number and amount that you want to transfer and at the press 1 to confirm the transfer of credit. Pick up your phone and then type *100*<9230XXXXXXXX> *<amount>#. For example, if you want to share Rs 20 then dial the code like *100*923012345678*20#. After this, to make the transaction successful pressing 1 is mandatory. Use this easy and convenient method to avail the Jazz share and transfer balance with your prepaid friends. The company will send you a confirmation message on the successful transaction. You will get the shared credit after both sender and receiver received the confirmation message. Jazz does not cost you much for transferring the balance. Service charges for availing Jazz share are Rs 4.77. The charges are inclusive of tax. Jazz share is only available to prepaid subscribers of Jazz. The minimum amount that you can transfer to Jazz share is Rs 15. Rs 500 is the maximum credit to share with your friends. Jazz will not be responsible for any mistake in typing the wrong code. Each time you made a new transaction you have to pay Rs 3.99 + tax of total shared credit. Postpaid customers of Jazz cannot avail the offer. The amount is not refundable once the transaction is confirmed. For further help, you can call on the Jazz service center by dialing helpline number. Withholding and FED taxes will apply to bill and recharge. Jazz share has made it easy for its prepaid customers to transfer credit. Now, never run out of balance and always stay in touch with Jazz share.